When it comes to retirement strategy, most experts counsel some form of buy and hold investing. 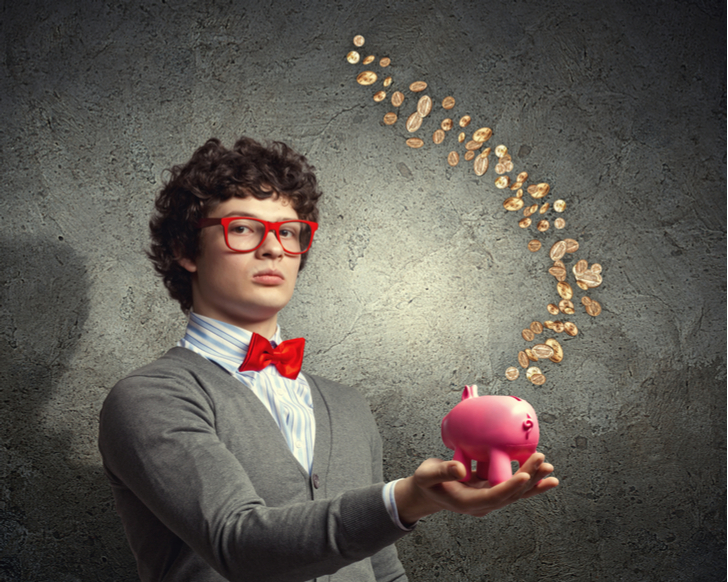 But there’s a catch: buy and hold investing can be quite difficult. After all, trying to pick winners in the stock market five years from now isn’t easy. Trying to pick the winners two or three decades now from is even tougher. A 25-year old in 1988 looking at retirement stocks might have had some luck with blue-chip Dow Jones components like The Coca-Cola Co (NYSE:KO), up 620%, or American Express Company (NYSE:AXP), which has risen 1,550%. But she very well could have chosen Eastman Kodak Company (NYSE:KODK) or General Motors Company (NYSE:GM), both of which went bankrupt. Even stocks like International Paper Co (NYSE:IP), F.W. Woolworth — now Foot Locker, Inc. (NYSE:FL) — and United States Steel Corporation (NYSE:X) have returned less than 100% over the last three decades. In a tech-heavy economy, the choices seem even more difficult. Will Facebook, Inc. (NASDAQ:FB) be the gateway to the internet 20 years from now or a social media relic like Myspace? Is Amazon.com, Inc. (NASDAQ:AMZN) really going to take over the world? Buying blue chips and holding them for years sounds like the best investing strategy — and it probably is. But the strategy only works when picking the right blue-chips. Here are seven retirement stocks to buy that should not only be around 30 years from now but should provide years of compound returns for younger investors looking to plan ahead. Berkshire Hathaway Inc. (NYSE:BRK.A,BRK.B) might seem an odd choice for investors looking out several decades. Investing alongside Warren Buffett historically has proven to be a winning strategy. But Buffett is 87 years old. His partner Charlie Munger is 94. And Berkshire stock has traded essentially in line with the S&P 500 on a total return basis for some time now (it’s actually modestly underperformed over the past decade). But there are plenty of reasons to keep Berkshire Hathaway stock as a key pillar of a long-term portfolio. New managers Ted Weschler and Todd Combs already are starting to choose more of the company’s investments. 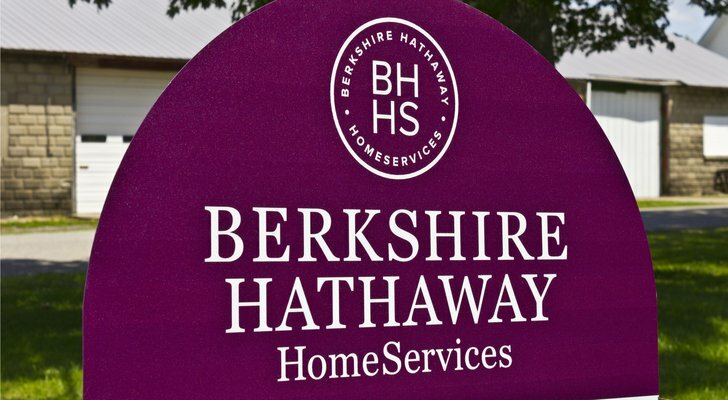 Berkshire now owns, in full, a huge stable of companies, ranging from insurers like GEICO to railroad Burlington Northern Santa Fe, restaurant operator Dairy Queen, and many more. That stable is full of ‘forever’ stocks. And many – notably the insurers – are somewhat defensive businesses. In other words, Berkshire stock is keeping pace with a bull market – yet likely would outperform in rougher seas. It may be too much to ask for Berkshire to create more millionaires over the next three decades than it has over the last five. But the strategy underpinning Berkshire Hathaway stock still works – and still can be successful. And it makes BRK shares worth owning for investors with a long-term time horizon. Healthcare stocks like device manufacturer Medtronic PLC (NYSE:MDT) traditionally were considered ‘safe’ investments. Healthcare spending wasn’t discretionary, and worldwide was covered mostly by governments and large corporations. Even in an economic downturn, health care costs were likely to stay up — and so would healthcare stocks. That sentiment has changed of late. Concerns about those costs have led to pricing pressure throughout the supply chain. The sector as a whole has underperformed for several years now. That includes MDT, whose stock has barely moved over the past three-plus years. But there’s reason to see MDT resume its long-term upward climb, as Will Ashworth argued back in January. Demand for key products such as pacemakers and surgical tools is only going to rise worldwide. Medtronic itself expects mid-single-digit revenue growth, with operating and financial leverage potentially driving double-digit EPS growth over time. MDT already is a Dividend Aristocrat, having raised its dividend for 40 consecutive years. At the moment, it yields 2.3%, but it has plenty of room to increase that yield over time. At less than 16x forward EPS, steady dividend and earnings growth should drive steady, consistent, returns for decades to come. That makes it a safe and smart choice for investors planning early for retirement. To be honest, I’m not 100% sold on Microsoft Corporation (NASDAQ:MSFT), particularly with a recent rise back toward an all-time high. I did cite a path back to $100 and beyond back in February – but I’ve also reminded investors to be careful with the risks surrounding MSFT stock. But long-term investors need to have some exposure to the tech space – and that’s tough to find at the moment. Likely leaders like Amazon and Netflix, Inc. (NASDAQ:NFLX) trade at nosebleed valuations. Stocks like Oracle Corporation (NYSE:ORCL) and IBM (NYSE:IBM) look cheap – but have real concerns about their place in the tech ecosystem going forward. 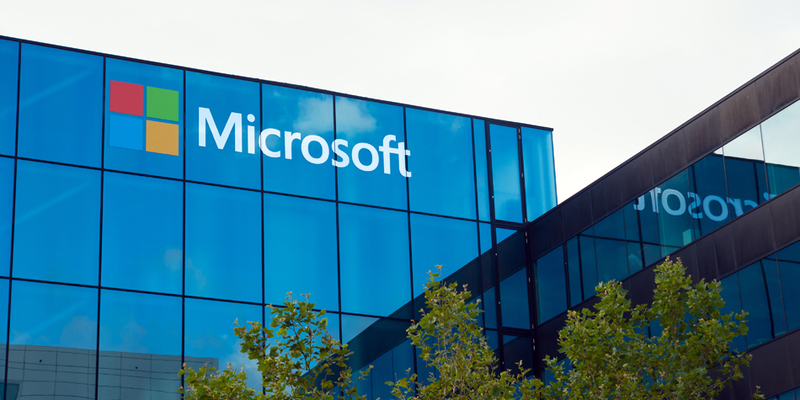 Microsoft stock is in the middle – which makes it likely the best pick at this point. A 1.7% dividend yield offers some compound potential should investors reinvest the dividends (as they should). A ~25x forward EPS multiple sounds heavy, but backing out net cash the figure comes down to a more manageable 21-22x. And over the past few years Microsoft has proven its ability to adapt to changes in the industry, while Azure and the shift to cloud set it up well for coming trends. Valuation isn’t perfect – I liked MSFT better back under $90 – but MSFT still should pay off for patient investors. And using covered calls or other option strategies can add some near-term income while allowing investors to accumulate ownership in this tech giant for the long haul. 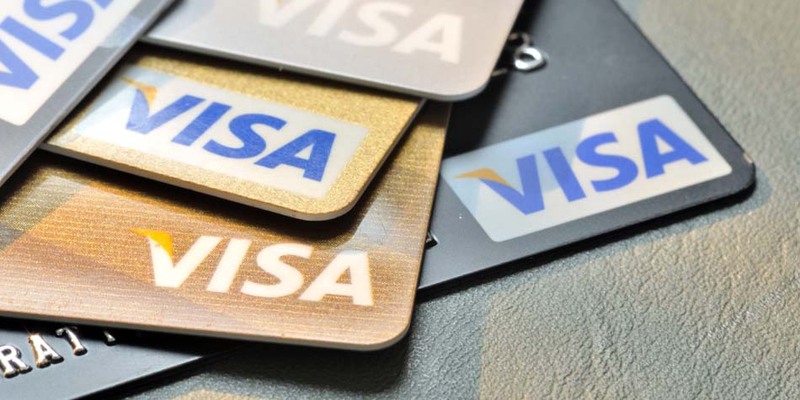 Like MSFT, Visa Inc (NYSE:V) stock isn’t cheap. But Visa stock probably isn’t going to be cheap for a long time – if ever. The company has dominant market share in payments, a nearly unassailable competitive position, huge margins – and serves a market that should grow over time. That’s a combination that investors are going to pay up for – as they should. The trend toward e-commerce is going to help demand. So is the trend away from cash. Those trends have years left in developed markets – and have only just begun in developing markets. As such, Visa should have years, if not decades, of strong growth ahead of it. And with earnings coming up, there’s even a near-term case to buy V stock, as I wrote this month. Even beyond 2018, however, owning a premium business with a large moat in a growing category creates an attractive long-term investment. $10,000 invested in 3M Co (NYSE:MMM) 30 years ago, assuming dividends were reinvested, would be worth nearly $350,000 today. The industrial leader and Dow Jones component has been a significant value creator for most of its history – and there’s not enough reason to think that will change any time soon. Indeed, just last week James Brumley called 3M one of 10 stocks to buy and hold forever. And I think he’s right. 3M has a massively diversified product portfolio. It is a market leader in categories ranging from health care to consumer products to even medical software. Over 100 years of history suggests that as long as 3M keeps doing what it has done, it will continue to be one of the best stocks in the market. Meanwhile, the good news is that 3M stock has pulled back of late. MMM has fallen a sharp 16% from late January highs, and at 19x forward EPS now looks reasonably cheap. A 2.5% dividend yield only strengthens the case. Past performance doesn’t always guarantee future returns. But in the case of 3M stock, that past performance combined with a reasonable valuation at the least suggests that those future returns should be very attractive. Looking backward, Archer Daniels Midland Co (NYSE:ADM) hasn’t been quite the winner that 3M has been. Still, over the past 30 years, ADM stock has returned, including dividends, over 9% annually. And that three-decade performance includes a reasonably rough patch over the past few years. ADM still trades roughly 15% below late 2014 highs. But there’s a notable reason for the recent weakness. U.S. farm income is in a terribly negative trend, and forecast to decline for the fourth consecutive year. That will change at some point, though the possible impact of a trade war has only added to the concerns at the moment. When the trend reverses, ADM should benefit – and so should its shareholders. In the meantime, ADM remains a worldwide leader in agriculture. Over half of its revenue comes from overseas, according to the 10-K. And with farmers required to feed a growing worldwide population, ADM’s sales and earnings should start to grow again – at some point. With ADM trading at 15x earnings, and offering a 3% dividend yield, patient investors are being given an opportunity to get into ADM stock cheap. As the industry normalizes, ADM should rise. And double-digit annual returns very easily could follow. United Parcel Service, Inc. (NYSE:UPS) offers the characteristics of so many stocks on this list – and so many stocks that successful long-term investors hold. Positive track record? Check. UPS has grown steadily, and shareholders have doubled their money over the last decade – even with a sharp pullback of late. Competitive moat? Check. 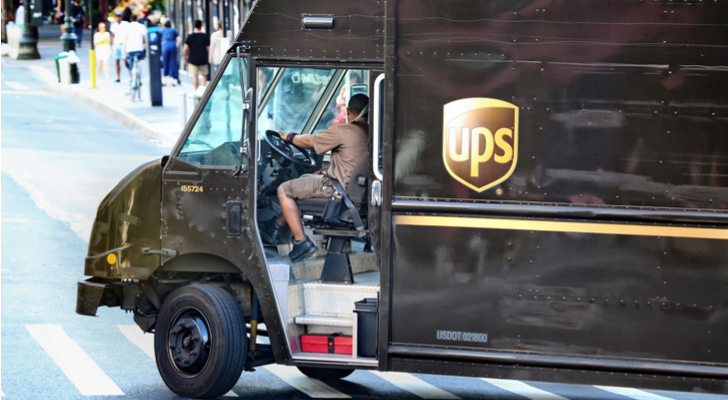 UPS operates essentially as a duopoly with FedEx Corporation (NYSE:FDX). There are concerns about competition from Amazon, but UPS’ supply chain isn’t an asset that can be easily replicated. Growing market? Check. E-commerce as a whole is likely to grow worldwide for years to come. While Amazon is a real threat, the tailwind from overall market growth should mitigate any share gains (assuming Amazon indeed enters the space more aggressively). Meanwhile, UPS looks downright cheap after a huge fall. UPS stock has fallen almost 20% from January highs, with very little in the way of news. Q4 earnings in January did raise fears of higher capital spending – but they also delivered a strong outlook for 2018. With United Parcel Services stock now trading at just 14x 2019 EPS estimates, the risks look more than priced in. The long-term rewards are not. As of this writing, Vince Martin has a bullish, hedged option position in IBM, owns shares of United Parcel Service, Inc., and no positions in any other securities mentioned. Article printed from InvestorPlace Media, https://investorplace.com/2018/04/retirement-stocks-for-the-30-and-under-crowd/.